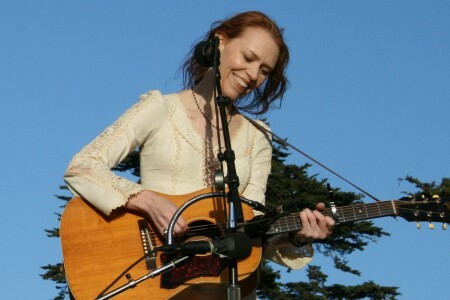 One of the highlights of my fabulously sunny, Indian-summer October weekend in California was seeing the legendary Gillian Welch with David Rawlings at the free Hardly Strictly Bluegrass Festival Saturday at Golden Gate Park. I’d never gotten to see her sublime and lovely music live, and it positively sprouted wings under the San Francisco eucalyptus trees. 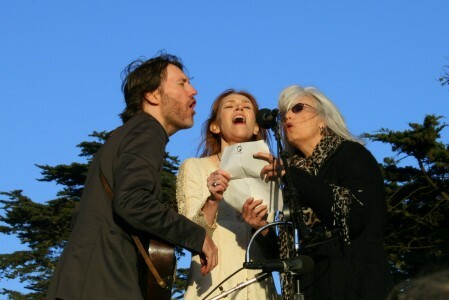 The Emmylou Harris made a surprise appearance with her and David to clutch a lyrics sheet and sing a wide-smiled version of “Didn’t Leave Nobody But The Baby” (from the O Brother Where Art Thou soundtrack). Gillian’s longtime musical partner, David Rawlings has a new album out November 17th, which will include a version of the song “To Be Young (Is To Be Sad, Is To Be High)” he penned with Ryan Adams, and guest appearances by Gillian Welch, Benmont Tench from the Heartbreakers, Nathaniel Wilcott of Bright Eyes, and members of Old Crow Medicine Show. Unless it’s lies or it’s love? 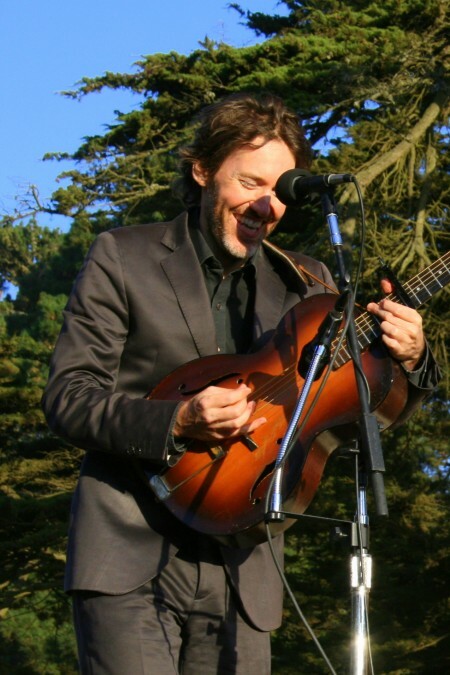 Tagged with concerts, david rawlings, emmylou harris, gillian welch, okkervil river. OMG I will be so excited to hear this version of “To Be Young……” Thanks for the tip. Okkervil River leaves it all on stage every time. I believe they are done touring for the year but i can’t wait for the next time i see them. So much emotion. I wish I could have a lovely Moose Drool right now. Damn, I love that beer. yes owen, they did say that this would be their last show of 2009, I believe….but i am all over 2010 when it starts. Can’t wait for the DRM album! Finally! I’ve seen Gillian and Dave quite a few times, and there never disappoint. One of the best live shows I’ve seen. Great pics! If I work hard, love my mother, and pay my debts, when I die, I’l hear Gillian Welch singing. Gillian was easily the best part of the weekend. 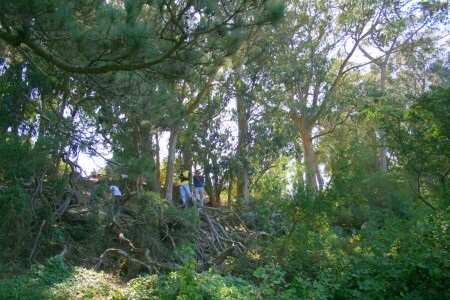 I really thought that set – in the very damn cold San Francisco wind – was perfectly sublime. The music really did float right above a pretty amazing crowd! Great post and thanks for it. Wish I’d have known you were there, I’d have traded you some wine for a Moose Drool! Ah, but when will Welch put a new album out? That is the question. “Soul Journey” was six years ago, already. Caught Okkervil River at the Scala here in London back on 14th September. This was my second time out to catch them live and again they did not disappoint. Like Owen said – they leave it all on stage, well apart from what was washing over me in a bloody marvellous feel good kind of way! with that said, once i get passed the voice, there are some amazing amazing songs that they have written. A girl in port is one of my faves!!! the songwriting and delivery is brilliant in some of their songs, i just wish his voice wasnt like fingers on a black board. Oh my, oh my–that WAS a great festival! And FREE (I mean, besides the airfare from NJ). I especially loved everyone hopping up on stage with everyone else. 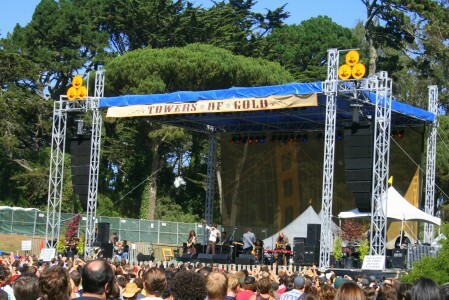 Besides Emmylou with Gillian and Dave, there was John Prine with Lyle Lovett, Jon Langford with Old 97s and on and on. Yes–we will be back next year!